Absolutely beautiful. Got Billy-T's new weight mapped character (the weight mapping can be used on any TY figure.) Now I'm building up a wardrobe for her. The textures are fantastic, also. Thank you very much. Virtual_World (7 years ago) Inappropriate? flashblitzen (8 years ago) Inappropriate? Thanks for this- peace and love. Garrett (9 years ago) Inappropriate? Very beautiful outfit. Thank you. Thank you so much! 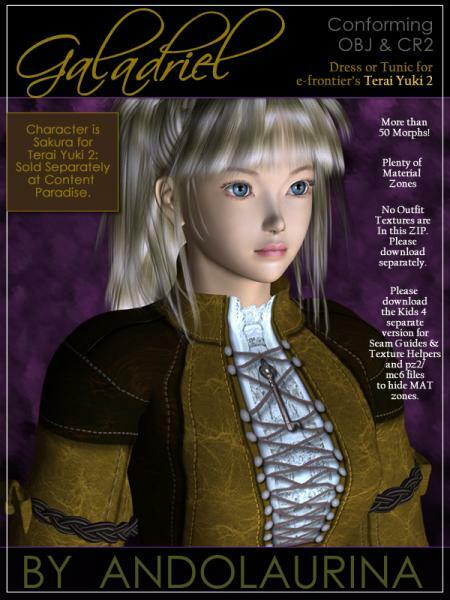 And Sakura is a beautiful character for Terai Yuki, I will go look for her at CP. khangeling (9 years ago) Inappropriate? Thanks for yet another version of your awesome outfit. Thank you! I don''t often see cute and free stuff for TY2!! And the texture shown is awesome!Thank you! I don''t often see cute and free stuff for TY2!! And the texture shown is awesome!